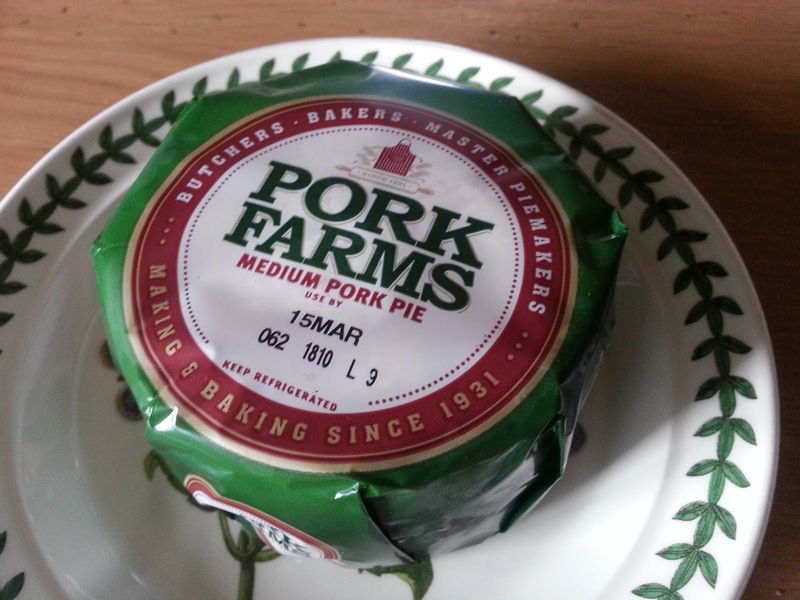 This pie review is of a medium sized pork pie from Pork Farms. Traditionally, of course, pork pies are served cold, so my quest for pie was not impeded by having to heat the oven up! The colour is good, and the crimping is quite pretty. 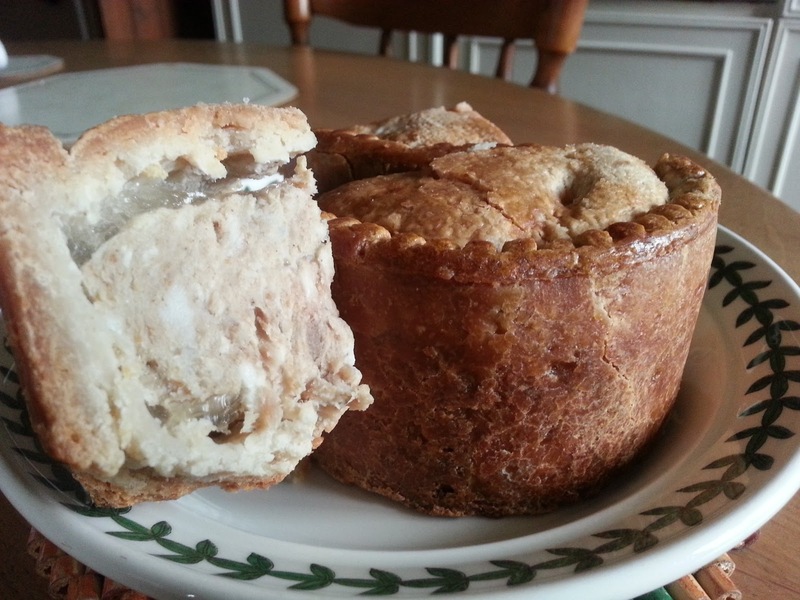 It's hard to assess the quality of the meat because of the mushed nature of the pork that is inherent to pork pies. 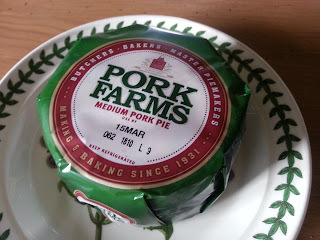 Overall I enjoyed it, especially with some pickle. I wouldn't be saying anything special about it, however.